Seleção Brasileira played on the grass of Estadio do Maracana. Brazil was in epic form last night when they ripped Spain 3 – 0 to win the Confederation’s Cup in Rio’s glittering Estadio do Maracana (Maracana Stadium). As many of the readers know, there have also been epic clashes throughout the country. 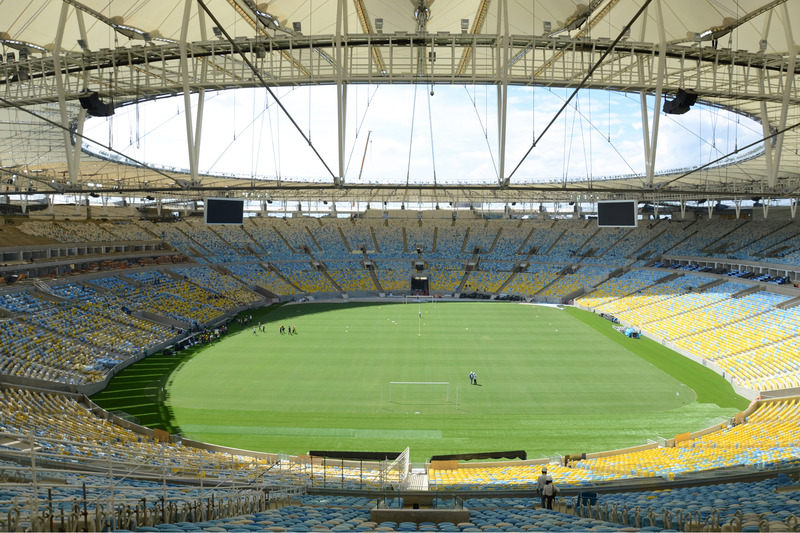 Large crowds have protested several issues, not the least of which is the huge capital investment the country is making in its sporting infrastructure, in lieu of other public works, heading into the 2014 World Cup and 2016 Summer Olympics (in Rio de Janeiro). I certainly don’t pretend to understand the politics, but last night’s glorious football got me to thinking about a sports medicine controversy: turf v. grass, which playing surface is safer for football (futbol, soccer) players? This blog has discussed this issue before, with posts by me and the previous on line editor, Chris Hughes, which I would recommend to you. But today, I thought I would put the issue to the readers: which surface do you think is safer for football/soccer players? Take the poll below, or at the journal’s main page, and let us know. I’ll post the results in a week. Feel free as well to elaborate on your vote in the comments section below. If you didn’t get the chance to check out our blog posst on the weekend’s other huge sporting events, the first stages of The Tour de France and Wimbledon, please do so and let us know what you think. Is it really already July?!! Have a good week! Great link Chris; the link adds another health dimension to the equation: environmental toxicities grass v. turf.